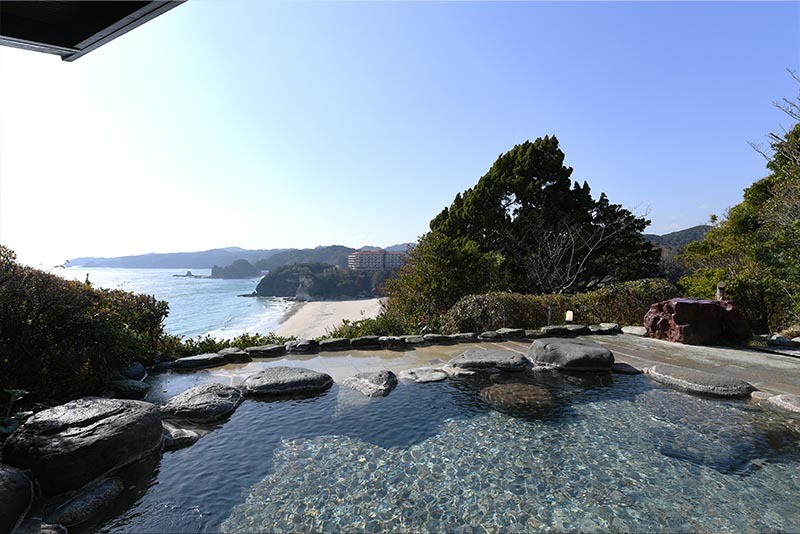 Onsen (natural hot-spring bathing) in Japan has a very long history and is an integral aspect of Japanese culture and lifestyle. 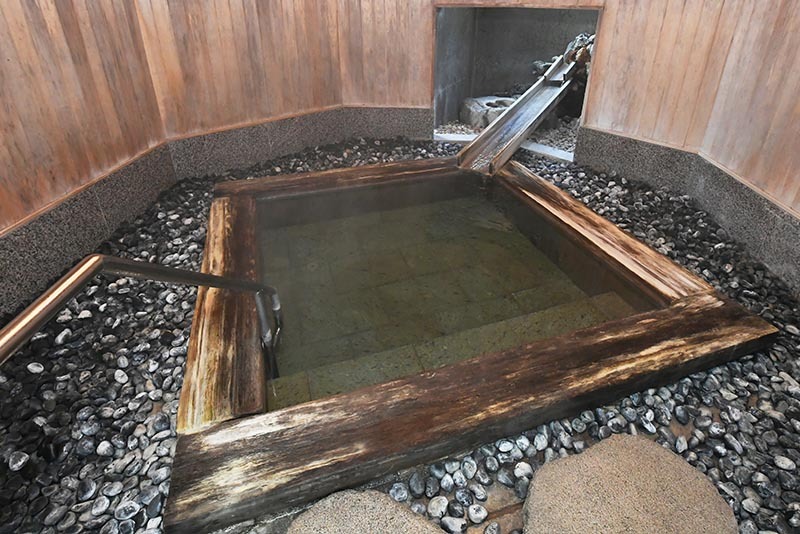 Intended not only for relaxation, onsen also offers beneficial treatment for such conditions as neuralgia, arthritis, sore muscles, and stiff shoulders. 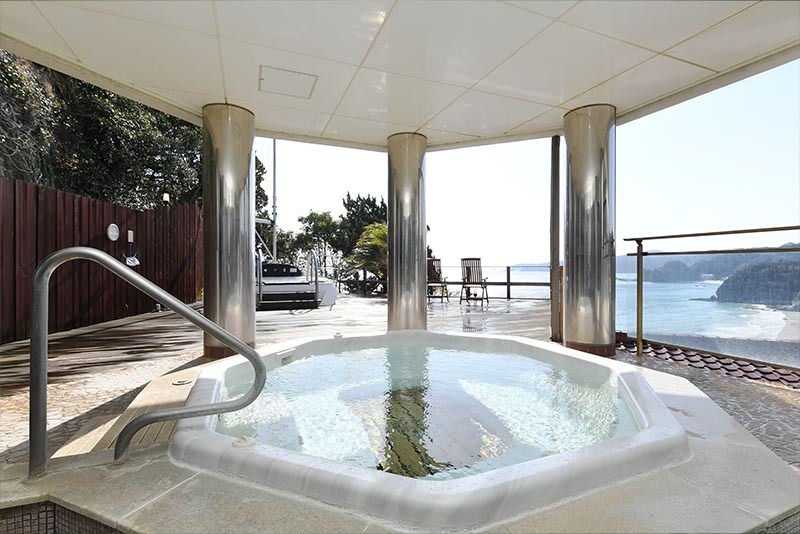 Please enjoy the total cleansing and purifying experience that onsen provides for both mind and body. Cast your worldly stress aside! This large bath was designed with a beautiful beach inspiration. 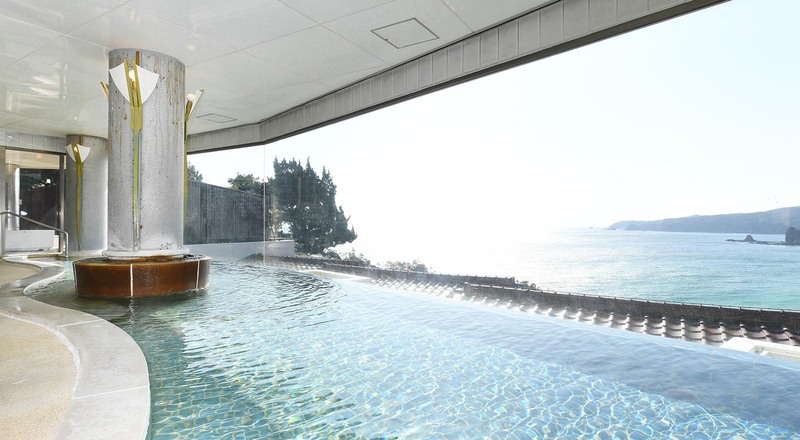 Enjoy bathing as if you were lying on a sandy beach. Powerful jets and soothing air bubbles will deeply relax your body. 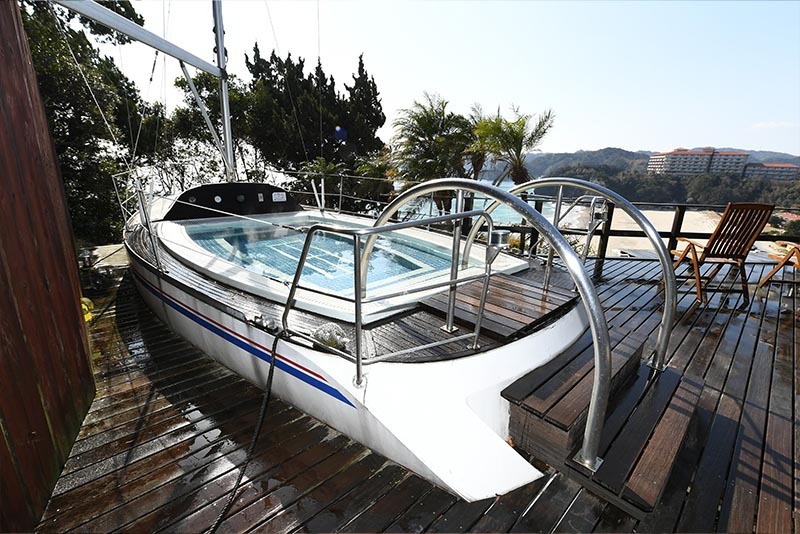 This unique outdoor bath was made by remodeling a real yacht.Feel the sea breeze as if you were sailing ocean. Traditonal Japanese style common bath. 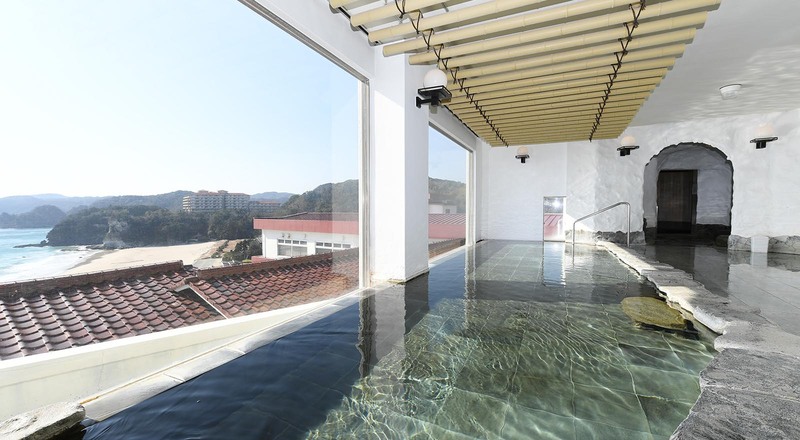 Bamboo ceiling and natural stone bathtub make a calm atmosphere. Literally located on mountain top.You have to go up many stairs, but stunning scenery is waiting for you. The aroma of cypress has been loved by Japanese people since ancient times. 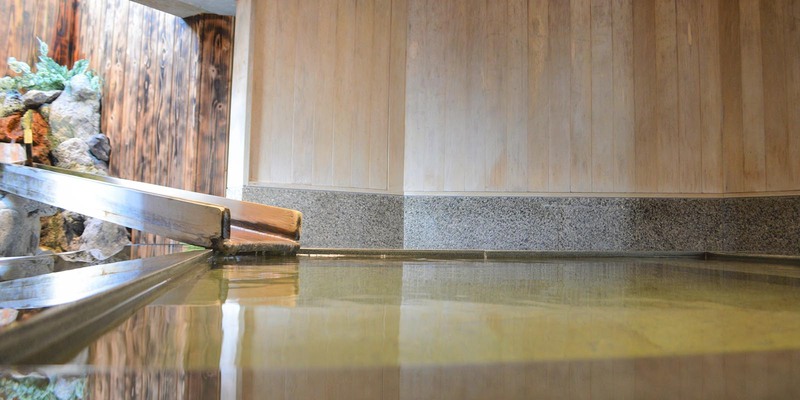 Relax in a cozy bathtub made of Japanese cypress and Izu stone. Please note that it varies depending on "odd number day" and "even number day”.